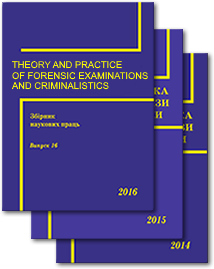 KhRIFE provides training for specialists who are not employees of state specialized agencies for appropriating and confirming qualification of forensic expert which is carried out according to the regulation on qualified commission of experts and certification of forensic experts, approved by an order of the Ministry of Justice of Ukraine in 03.03.2015 № 301/5. 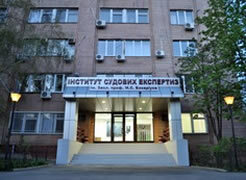 To appropriate and confirm qualification of forensic expert specialist who are not employees of state specialized agencies should have relevant advanced education, educational qualifying level which is not less than specialist, be trained (to undertake an internship), know theoretical, organizational and procedural questions of forensics and methodological rules and their application by the corresponding expert specialty. A specialist who intends to be trained (to undertake an internship) in KhRIFE should apply: application for being trained (to undertake an internship); a copy of diploma with relevant advanced education and educational qualifying level which is not less than specialist with an addition thereto (copies of diplomas of Associate Degree/Bachelors Degree with an addition thereto); certificate about no data available on previous conviction; a copy of employment record book and first and second page of Passport. The documents for undertaking the internship in a relevant expert specialization in order to confer the qualification of forensic expert should be applied to KhRIFE no later than 30 days before the end of period of validity of the Certificate of qualification of forensic expert. 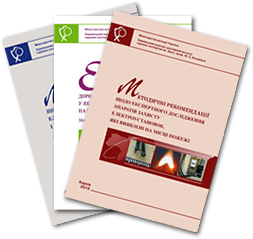 Specialists who are not employees of state specialized agencies should pay to KhRIFE for training (taking an internship), the amount of those costs determined by cost estimate: download! !